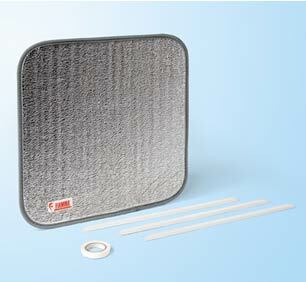 Insulated vent sheild that keeps the motorhome and caravan warmer in winter and cooler in the summer. 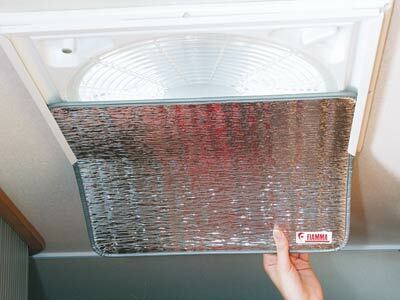 The aluminium surface assists by reflecting sunlight and by reducing heat loss. Complete with plastic stick-on holding guides. Suitable for most 40 x 40 cm rooflights. Dimensions mm: 400 (L) x 400 (W) x 6 (D). Fitting: Using adhesive holding guides.